An investment in Eaton Power Conditioners and power quality solutions is one that will pay dividends immediately. It keeps your equipment, and your company, working. That means you avoid costly downtime. We’ll help you protect your investment in an increasingly digital world. 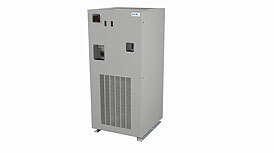 Eaton offers a wide range of power conditioning solutions. These solutions range from small, single-phase isolation units to megawatt sag correction units. Eaton has the engineering expertise and products to solve any power quality problem. 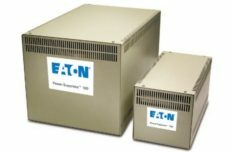 Eaton’s power conditioners provide exceptional reliability through ultimate power protection against sags, surges, swells, spikes and electrical noise. 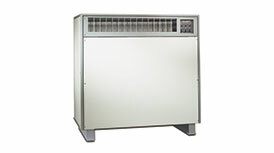 The power conditioners correct voltage sags while maintaining uptime and productivity. They offer superior protection against damaging electrical disturbances. Eaton’s power conditioners safeguard critical equipment from all forms of RFI/EMI electrical noise. Products are also available for the ultimate in isolation and noise suppression. The Eaton Power-Sure 700 combines voltage regulation with a transformer and filter to remove transients and noise. The combined effect is regulating and shielded isolation transformer/system that solves 99 percent of the electrical disturbance problems, including electrical brownouts, sags, surges, transients and other electrical disturbances. Eaton Power-Suppress 100 ultra-isolator noise suppressors protect sensitive equipment from electrical noise disturbances. Using exclusive double shielding techniques, the Power-Suppress 100 blocks all forms of electrical noise including radio frequency interface (RFI)/ electromagnetic interference (EMI), over a broad range of frequencies. Furthermore, the noise suppression is achieved without impeding normal power flow. Protect your plant from costly voltage sags by installing the Eaton SRT Power Conditioner. The SRT (Sag Ride Through) is the first power conditioner to incorporate new technology that corrects voltage sags and maintains uptime and productivity. It requires no in-depth engineering study to select the appropriate model and no maintenance. Eaton's full line of Power Factor Correction capacitors and Harmonic Mitigation products include Capacitor Banks, Harmonic Filters, and Harmonic Correction Units for low and medium voltage systems.